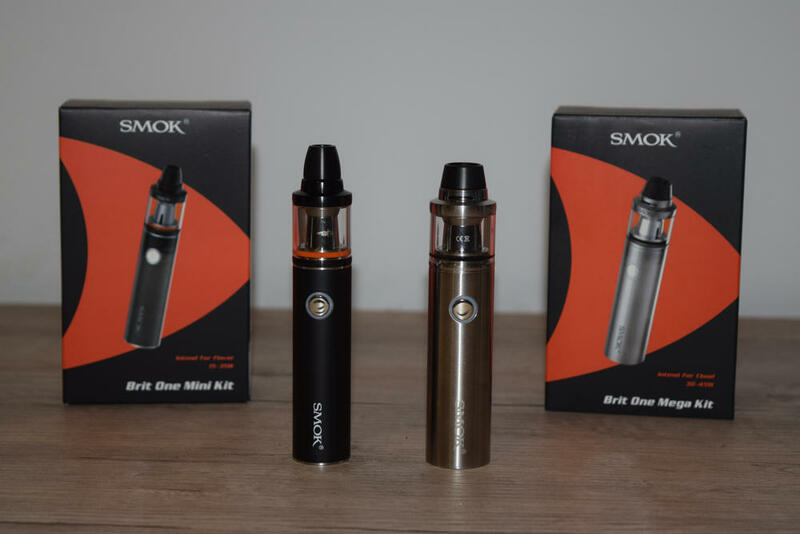 Chinese company SMOK recently released its Stick One line of entry level vaporizer kits aimed at beginner and intermediate vapers looking for a simple yet effective solution. The Stick One Basic and Stick One plus are very similar cylindrical devices but with a few fundamental differences that we’ll be going over in this review. 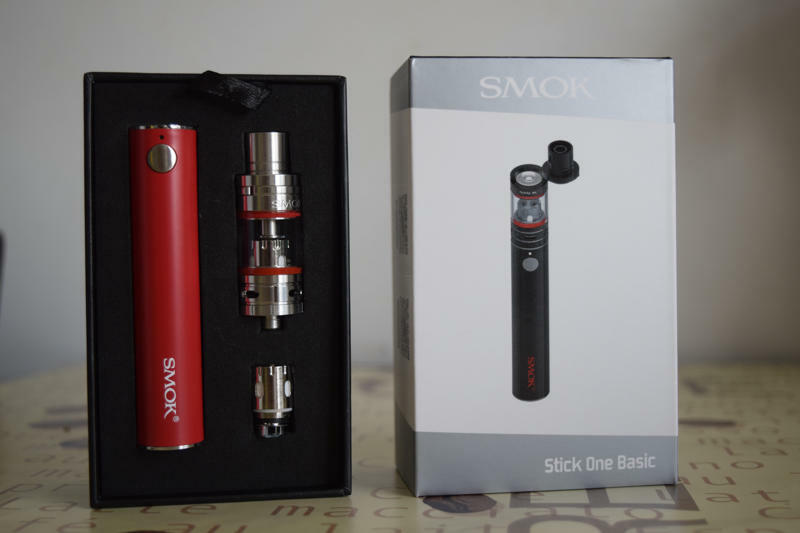 Just like the Stick One Basic, which we reviewed a couple of weeks ago, the Stick One Plus comes in the classic SMOK packaging and contains one “eGo Cloud Plus” 2000mAh battery, one Micro TFV4 Plus tank, the same two coils included in the Basic kit – a pre-installed micro CLP2 0.3 ohm Clapton, and a micro STC2 0.25 ohm stainless steel coil head – a USB charging cable, a silicon dust cap, a protective vape band for the tank, a detailed user manual, and a bunch of spare o-rings. I would have loved to see a wall adapter included, for situation where you don’t have a USB port available, but overall it’s a bountiful offer. Except for its size and capacity, all other design features of the eGo Cloud Battery Plus are pretty much identical to the Basic version – the same style firing button sitting flush on the battery, the same tiny LED indicator located above the battery and the same micro USB charging port, which in this case is positioned in the middle of the battery, not the bottom, as on the Stick One Basic. 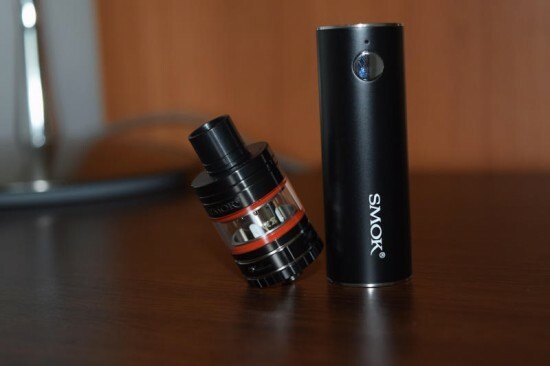 The SMOK Stick Plus can be turned on and off by pressing the firing button five times in rapid succession, and that’s about all you need to know to use this device. Just turn it on, make sure the tank has enough juice and press the fire button to activate the battery. As I mentioned, it’s as easy to use as the eGo style e-cigarettes of old, only with much improved performance. The eGo Cloud Plus battery included in the kit is shorter that the Cloud Basic one, and has a capacity of only 2000mAh compared to the 2400mAh of the Basic, but I’ve been using both for a few weeks now and I haven’t noticed the difference. They both last me about half a day, if I’m using them exclusively, but I consider myself a heavy vaper, so I’m pretty sure it would last casual users and beginners much longer than that. 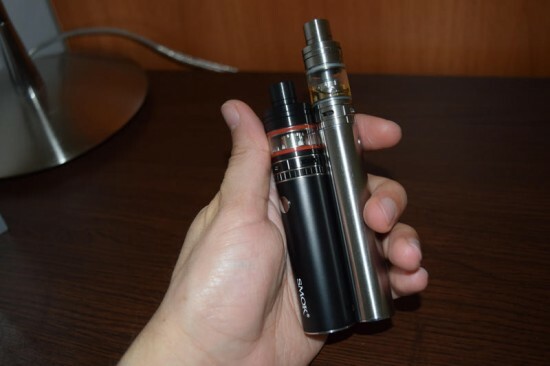 You can definitely find better battery life in the vaping market today, but you would have to compromise on size and portability, because larger batteries translate into bulkier devices. 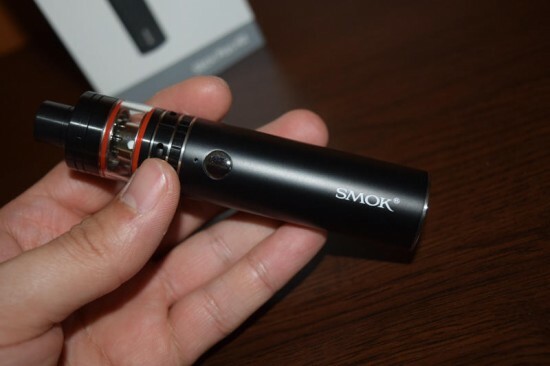 The SMOK Stick One series is about as slick and simple as mods get and that’s actually one of its main selling points. 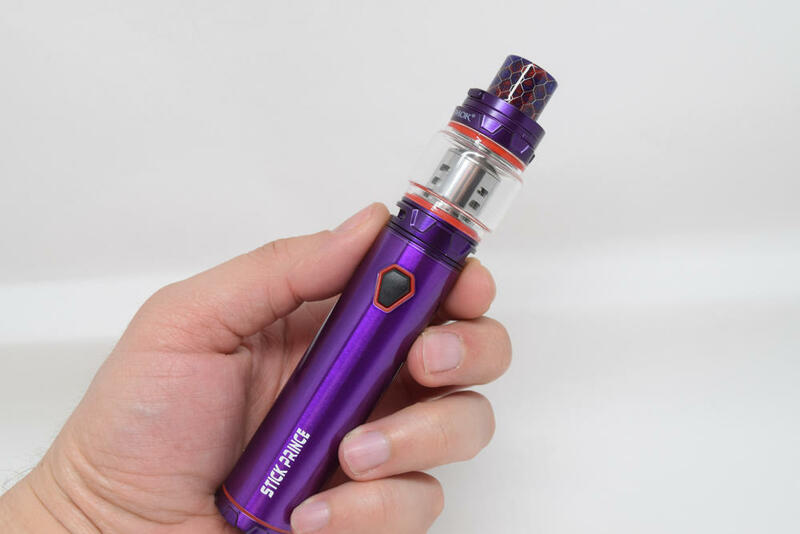 Just like the Stick One Basic, the Cloud Plus battery operates at a set voltage range of 3.7V – 4.2V, depending on the charging level of the battery, which is actually more than enough to bring out the best in the included micro TFV4 coil heads. On a full charge, the battery will output around 4.2 volts, and then, as the battery starts to deplete, the power level drops. Once it’s below 3.5V, the device won’t fire anymore and you need to recharge. Advanced mods like the SMOK X Cube 2 or the SMOK R80 have small LED displays that feature a battery indicator, but for the Stick One devices they went for a simpler solution. The tiny LED battery indicator located right above the fire button blinks four times every time you press it. When it blinks slowly, it means the battery has enough power, but when it goes on and off very quickly, it’s signaling that it needs a recharge. The Stick One Plus battery comes with the same built-in safety features as the Basic – an 8-second battery cutoff, low voltage protection, short-circuit protection and low resistance protection, as well as a small venting hole on the bottom of the device, just in case the battery needs to vent. I really love the size and feel of the SMOK Stick One Plus battery, the simplistic design and clicky fire button, but if there’s one thing I would love even more is if they included a second one it the kit. For heavy vapers or smokers, 2000mAh doesn’t cut it, and if you don’t have a second device, you’re left with only two options – waiting a couple of hours for it to charge, or using while it’s charging, which is really not an option if you have to move around. At the same time, I understand that including a second battery would also increase the price of the kit. The Micro TFV4 Plus tank that comes with the SMOK Stick One Plus starter kit is one of the many modified versions of the popular TFV4 sub-ohm tank. It is a few millimeters shorter than the Nano TFV4 that comes with the Stick One Basic, but it has a larger diameter and, though you couldn’t tell by looking at it, a larger e-liquid capacity. The Micro TFV4 Plus can hold up to 3.5ml of juice, while the Nano only has room for 2ml. And that’s just one of several advantages of the Plus version. 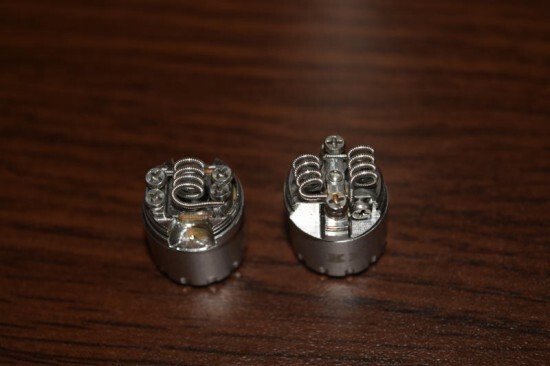 We’re not get into details about the coils and the performance, simply because both the Micro TFV4 Plus and the Nano TFV4 come with the exact same coil heads, so they perform just as good. From this standpoint, whichever one you decide to buy, you will enjoy the same stellar vaping experience. 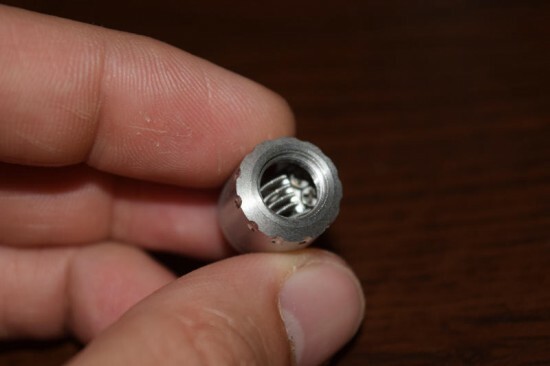 The vapor production is out of this world for a device this small and simple, but, like all other TFV4s, it takes a heavy toll on the e-liquid. You’re going to need a bucket load of juice to use this thing on a regular basis, and if you’re used to the expensive premium stuff, it’s also going to take a toll on your wallet. For more on the Stick One coil heads and overall performance, check out our review of the Stick One Basic. 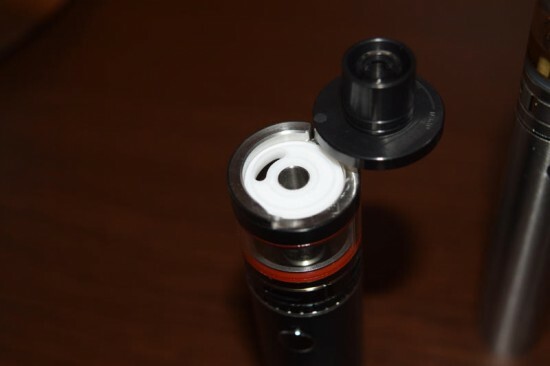 Finally, the one thing that really sold me the Stick One Plus over the Basic – the possibility of switching the standard SMOK coil-heads with not one, but two different RBAs base that let you build your own coils. Now, I realize that this may not be something that beginner or intermediate vapers might be interested in, and so does SMOK, which is why an RBA not included in the starter kit. It would have upped the price somewhat unnecessarily, but anyone interested can buy them separately (I don’t know the current price, as I got it for free for the purpose of this review). You can choose between the Micro RCA – a single coil style RBA deck which lets you mount one larger coil – or the Micro R2 – a dual-coil RBA that lets you mount two smaller diameter coils. Both are obviously smaller than your average RDA deck since they have to fit in the same place as the SMOK coil heads, but they are surprisingly easy to work with, IF you know what you’re doing. 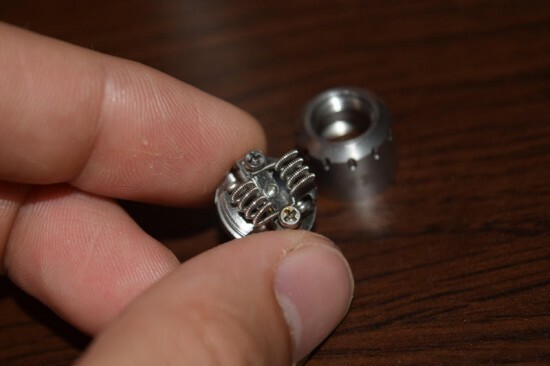 The Micro RCA comes with a pre-installed Ω0.62 Clapton wire coil, while the R2 has Ω0.25 dual Clapton coils, but you can virtually replace them with whatever coils you prefer. The problem is that the Cloud Plus battery does not have variable wattage or temperature control functionality, so you’re not going to be able to adjust the power output to the resistance of the coils, or even read the resistance for that matter, so these RBAs are really only a feature of the Micro TFV4 tank which you can use with a more advanced mod. But it’s definitely a plus for the Stick One Plus kit, because it gives you more options. Oh, and I almost forgot to mention that the RBAs are only compatible with the Micro TFV4 tank and NOT with the Nano TFV4 of the Stick One Basic, which simply isn’t wide enough to accommodate them. 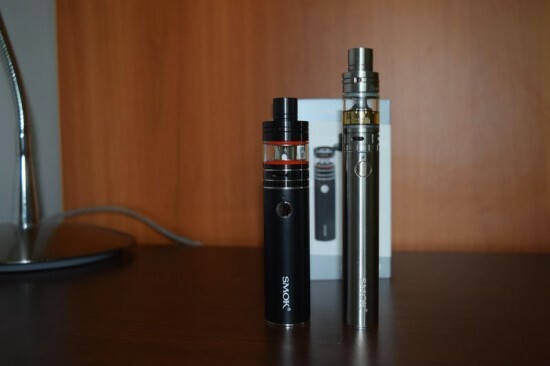 So for this reason, and the higher e-liquid capacity, AND the reduced sized of the setup, I have no choice but to declare the SMOK Stick One Plus as the better choice of the two. Not to mention that they both have the exact same price. the Plus is 3.0 ml.. the Basic is 2.5 mi. I just wanted to know if the wattage was adjustable and if not what the default wattage was.